I did not really expect too much from this class. I only took this class because it was an upper-level COJO class. I think I learned that Google is my best friend. If I do not know how to do something, I’ll definitely turn to Google. That is just how technology is. As it changes, I am thankful for the fact that I can look something up if I do not know how to do something. This is a video about hiking in Wyoming. 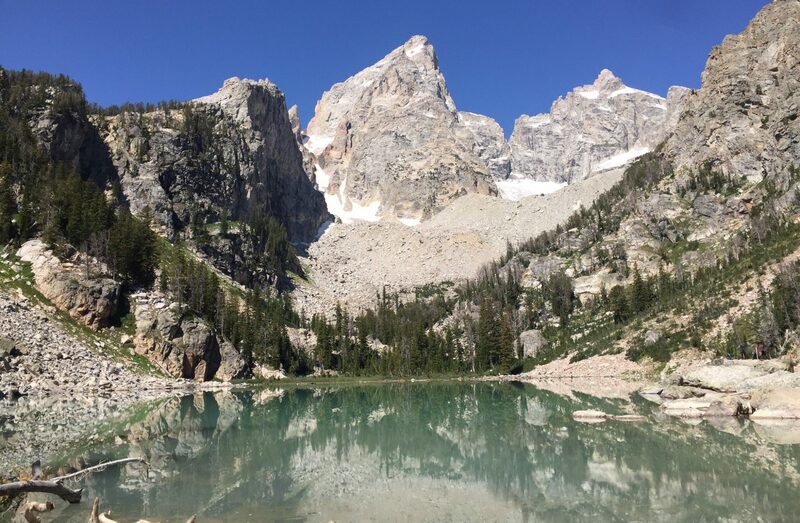 We went to Vedauwoo and interviewed to ladies who love to hike in Wyoming. The weather has been so nice, we decided to record some of nature. We also added a dog to create more fun and aesthetics to the video. We also wanted to make it more enjoyable for the viewer to watch the dog play around in nature. Vedauwoo and hiking, in general, is a great thing to do in your spare time. There are so many options here in Laramie to explore, let alone other places in Wyoming. It was fun to interview Malorie and Destiny because they were telling us about their different hiking experiences around Laramie. This gave more diverse places people can hike and maybe made the audience more inspired to hike in different places rather than the famous Vedauwoo. I enjoyed going outside and exploring the vast nature around us when the weather has been so nice. It also was fun to interview people who also enjoy hiking. It was cool to shoot different clips and then see them all together in the finished product and how nicely all the clips fit together. It surprised me how easy it is to edit and record video to make it into a nice piece. I wish that I was able to interview people outside rather than in the library. Unfortunately, there were no people outside to interview at the time. That way the interviewees would be in the environment that they are talking about and it would make it more enjoyable video. I could see myself editing videos and making some nice videos for my church but I do not see myself in a career for this type of project. Especially if it takes longer than an hour to make. The boom of social media has soared from what it used to be. Say goodbye to MySpace and hello to at least six megastars of the social media world. As a result of this explosion at a rapid pace, social media can be more complicated than one would think. That is why this blog post is being written. The complex nature of social media needs to be studied by two flourishing companies in the athletic world. Their popularity is all thanks to their presence on the internet and TV (from advertisements), and to study these company’s presence online will improve my presence. These two companies are Nike and Adidas. I have followed sports and played basketball since I was able to walk. Nike is what I grew up with in high school; it was all the rage. However, now I see that Adidas is giving Nike a run for its money. I am curious how well they compete with each other on their social media accounts as well. Both of these companies portray little presence on Facebook. I say this because their Facebook profiles seem pretty simple. They are probably going for the simplistic work and letting the videos and pictures speak for themselves. A picture is worth 1,000 words, right? Nike‘s black and white profile picture (with 30,410,341 followers) is just of the “swoosh” while their cover photo is also black and white saying “just do it”. Scrolling through their feed, they provide many videos that resemble commercials. They are trying to promote their product visually. Unfortunately, Nike does not post often on their Facebook profile. The last one was posted on April 5th! It is also irregular on when they post as well. From looking at their profile, it seems that Facebook is one of their leftover social media platforms. What I mean by that is Nike must put their videos on Facebook to other platforms and they do not put anything new on their Facebook platform. Adidas (with 33,619,699 followers) is no different than Nike. They seem to have Facebook as their leftover platform as well. Their most recent post was on March 6th! Looking at their posts they have barely posted on their profile. Their first post was on July 12, 2017. There are only five posts after that.Almost a year from their first post, and only five. What is also confusing is that Adidas has two Facebook profiles. Looking at each of them, they are exactly the same, as shown in the image on the left. Nike (with 77.2 million followers) is going for more of the amusing and inspiring side of advertising. Some of their videos are hilarious! One video was portraying stars with the problem of personifying their shoes; as if their shoes had feelings and emotions. Their videos are also inspiring. Such as a video about Tiger Woods coming back to the game of golf. Compared to their Facebook profile, they post often. They average around five posts per month, rather than one post per month on Facebook. Adidas (with 19.5 million followers) seems to try and portray their artistic side of advertising. There are no funny videos. Their videos consist of showing off their product through hard work and persistence. There was a weird video, probably trying to portray a more “runway” look, that Adidas had. It was weird to me but maybe inspiring to others. Out of all of the social media platforms, Twitter is the one that should be updated the most. It is the quickest way for news to travel through the internet. Because of the limited amount of characters allowed in one post, Twitter promotes a promptness and efficient way to post. It points toward the audience that uses Twitter: a population with a short attention span that needs information fast. Both Nike (with 7.44 million followers) and Adidas (with 3.42 million followers) have similar profiles on Twitter. They both have lots of videos in each of their posts. Nike has more of an inspiring Twitter feed than of it’s Facebook profile. Nike has all the inspiring videos on their Twitter feed. What I mean by inspiring, they have videos about certain athletes who wear their gear and how that gear has helped them get to the place they are today. The Adidas page is exactly the same as their Instagram page. They have all the same videos in the same order as their Instagram profile. At least Nike has some different posts than from their Twitter page. LinkedIn is one of the more professional sides of social media. This site is meant for ways one can portray themselves in a professional manor. Which is why it is wise for both Nike (with 1,404,654 followers) and Adidas (with 719,925 followers) to advertise the job aspect of their companies in their LinkedIn profiles. What I mean about their job orientation is that most of the posts and these profiles themselves are focused on the way that potential employees can contact and learn more about each company on their LinkedIn profiles. Most of the social media platforms so far are advertising their products while with LinkedIn, the companies are advertising jobs. There are not as many users on LinkedIn as there are on other social media platforms. It is more professional to post less. If there are not as many users on the LinkedIn platform, what is the point of putting a lot of effort into posting more than twice a day? Granted, there are still users looking at the LinkedIn profiles, so they still post every day. These posts, however, are more constructive such as articles on certain employees in the company and how they got to where they are. They also have posts about different workshops that employees or potential employees could attend to improve on their professional profiles. It is more professional to post less because it lets the audience know that they truly think about each post that is going on LinkedIn. If companies say that they are not going to post more than a certain amount each day, they have to pick and choose which information they would like to put on their profiles. From personal experience, Pinterest is a social media platform that is there for me to “pin” things that I want or to remember in the future. Users can follow other users with similar interests and can “pin” those interests (hence the name “Pinterest”) to their own boards. Because of this function, both Nike (with 229,009 followers) and Adidas (with 72,385 followers) are advertising their products through pictures. Most of their users see the colors and style of the products and “pin” those pictures to their boards (and maybe will go to the websites to buy those products). There is a clear difference on presence with Nike and Adidas. Comparatively, Adidas has around 20,000 pins while Nike only has around 2,500 pins. It shows why the amount of followers are so drastically different. Another concept in Pinterest is the more organized your profile is, the more likely a company will gain followers. For example, Adidas only has four boards for their 20,000 pins while Nike has 39 boards for their 2,500 pins. If there was a middle ground between these two companies, the profile would be the most organized. Companies need to make sure that they do not have too many or too little boards. This is because too many boards have the possibility to not have enough pins within them. For example, what is the point of having an entire board when there are only four pins in it? Compared to most companies, though, Nike is lacking in the Pinterest area. Adidas is doing fine with having some presence on their profile, but Nike should probably pick it up if they want to compete with Adidas. Unfortunately, it seems that both Nike and Adidas do not have much presence on Snapchat. There are many users that post about their Nike or Adidas gear, but the companies themselves are not present on Snapchat. Since Snapchat is probably the newest social media platform of all the platforms, the companies just have not found their presence on Snapchat. However, there is a growing popularity with this platform. It would be beneficial for both of these companies. For the most part, I think Nike does the best out of these two companies to relate to their audience. They know that most of their audience are young adults who find humor in most things. By posting humorous stories on their Instagram account, I think they create a larger follower count. There is a 57.7 million follower difference! I think that because of the humorous posts, Nike is able to obtain more followers by the day. These hilarious advertisements cannot be found on their other platforms, only on Instagram. I think that contributes to the amount of followers on their Instagram page. I think that Adidas did a great job with their Pinterest account. They were able to understand the purpose of Pinterest, which is to want and to look. They organized their page better than Nike and updated their profile more often. Nike seems to have abandoned their efforts on Pinterest. What I also like about both these companies is that they try their best to stay up to date. Their posts are very modern, and they put a lot of effort and money into their videos. They try to keep the most efficient and aesthetically pleasing videos and pictures on their websites. There is no question that these companies have the money to advertise on social media. Generally, learning from these two companies, if one wants to have a great social media profile, one must understand the functions of that platform and their audience. Nike shows that understanding their audience, they are able to gain more followers on their social media accounts. Adidas does the same with understanding the function of their platforms and uses it to gain more attention with the users of that platform. When questioned, most people could say they use different social media platforms for different reasons. By combining the understanding of audience and the platform’s functionality, one can dominate the social media game. From the advice of Robert Wayne and his article Winning Social Media Strategies for Public Relations, he states that there are certain ways social media can be used to it’s fullest. He comments on how users should be brief and not boring. I think that Nike could use this advice for their Pinterest profile. They have 39 boards for only 2,500 pins! They are not keeping it simple for their followers. Likewise, the followers can be overwhelmed and, therefore, board with their profile to click on and never come back. If they tightened up the amount of boards and added more pins, I think they would be able to gain more followers on this platform. In the article How Under Armour Makes Its Snapchat Ads in 5 Seconds Or Less by Lauren Johnson, Johnson describes that Under Armour uses the knowledge that Snapchat is a platform that is rapidly growing in popularity (more so with the audience under the age of 16). They create interactive pieces rather than just short videos. Another reason why their advertising is so successful, Johnson describes that Under Armour puts priority on the Snapchat platform. I think that both Adidas and Nike should take the route that Under Armour is taking. Under Armour is trying something new and making it their own. Adidas and Nike both do not have any presence on Snapchat, so I think they should at least try, especially with the growing popularity of the app. In my opinion, I think a good strategy for social media profiles is to know their audience well enough from each social media platform. I would guess that there are different types of people who follow the different platforms. Most likely, there are people who follow multiple platforms at once, and they can get tired of the same post on each platform. Both Nike and Adidas post the same videos or pictures on all their platforms. Switch it up a bit. Entertain the audience, not just throw information at them. Tourists flock to the small town of Jackson, Wyoming each summer. They love to feel the cool summer breeze on their cheeks, experience the good old west, or just hike through the beautiful forests. Either way, tourists are always confused on where to eat each day they are there. Because of the small town nature of Jackson, it is low-tech when it comes to any Google searching. When I go to a new place, I want to experience the great food through the local’s opinions. They are the ones who eat there every day! This post is for those who travel all the way to the outskirts of Wyoming and who want to experience great food and company. Jackson is known for its nature and beauty, but where are the tourists going to go to eat? As a local, I know the ins and outs of the town of Jackson. Living there for around 24 years now, I am familiar with how to navigate through this small town. Watching the tourists travel through Jackson in confusion, I think that this map will help those find the gems in this small town. Whenever I show a friend around, I make sure not to disappoint! Number five is an awesome restaurant that has every type of food for each member of the family. From burgers to stuffed pretzels, the Sidewinders Tavern was built for comfort. While watching the game I am able to stuff my face with a cheese stuffed pretzel and beer on tap. This is my go-to restaurant when it comes to cravings. They even have chicken pot pie! “The slice of pizza was huge! It was also pretty tasty!” Sanchez commented. The Gun Barrel is next on my list as number four. Every time I am craving a steak, this is the place I turn to. They have the thickest cuts I could ever imagine, with the best flavors in town. On top of the delicious food, they also have the most interesting decor. I chose this place because, for most city folk, they probably have not seen many animals that roam around Wyoming. Since those animals are difficult to see naturally, why not go to the Gun Barrel? They have stuffed animals all over the restaurant! I get the sense of the old west in this restaurant and it is perfect for those tourists who want to experience the west on their trip. Sometimes there is just a craving for Chinese food. That is where number three comes in. From sweet and sour chicken to egg drop soup, I love coming to this restaurant. Not only do they have great food to satisfy my cravings, they also have the friendliest staff out there. They remembered my name after just one visit to their restaurant. I am always greeted by the hostess and the waiter asks how my family is doing. I feel as if I am home when I walk into this restaurant. If a tourist is looking for a place to call home, Chinatown is the place to be. Next on the list is the New York City Sub Shop as number two. I picked this restaurant because of their delicious food but also for the fun, playful side they have. “This place had the best sandwich I have ever had! Right now, I want to have another one of their sandwiches,” said Sanchez. Painted on the walls are murals of random pictures, such as a mountain lion riding a sandwich sailboat. What is fun about the murals is that there is a game on the walls. Throughout the murals, there are mustached men all over the walls. I counted up to 30 once! Number one is the Merry Piglets Mexican Grill. Mexican food is my favorite type of food, so, of course, I choose Merry Piglets as my number one choice. On top of the excellent food, their homemade margaritas are the best margaritas in town! “I am Mexican and I can say that their margaritas are auténtico! Although my mom will always have the best Mexican food, Merry Piglets is a close second!” Sanchez said. With the colorful art on the walls, authentic margaritas, and delicious food, Merry Piglets is hard to beat! Has Social Media Gone Wrong? Have you ever thought of the number of hours you spend on social media? There is Instagram, Facebook, Snapchat, Twitter, just to name a few. Social media is defined as “websites and applications that enable users to create and share content or to participate in social networking,” according to the Oxford Dictionary. Social media was created to expand communities online and in the real world. Unfortunately, the evidence states that social media has negative effects on the mental health of anybody who uses it more often than necessary. There are varying opinions when it comes to social media in the lives of different generations. Some parents are worried that their children are too obsessed with their online life and don’t worry about their real one. with the coming generations. Teenagers and young adults continue to walk around with their noses buried in their phones. Arturo Sanchez, a college student, recognized what social media was doing to his social life. Jesse Gutierrez, a father of two, is a big advocate of social media. “Twitter is great. I don’t really post or like anything on there, but I am on it a lot. Probably around two to three hours, at the most, every day. I just go on there to get news and Broncos information,” commented Gutierrez. Gutierrez is a middle-aged man who is fascinated by communication between two or more parties. He had been reluctant to jump on the social media train when it first started to become popular. “Since everyone was using it, I was very stubborn in starting it. It also seemed pretty stupid to be honest,” reflected Gutierrez. When asked about if social media could hinder communication between parties in the future, he stated that he couldn’t see how it could be possible. Human communication skills are developed at a young age, from birth to around age two. Since those skills are developed at such a young age, Gutierrez doesn’t see how a 2-year-old could understand enough about social media to develop bad habits. Unfortunately, there are sources that disagree. Sonya Hazen, a hypnotherapist, explained that there are many different causes of this addiction. “From what I have seen with some of my clients, there is a root problem with their addiction to social media. Most of the time, they consist of low self-esteem or depression. The problem for them is that social media continues to add to those problems,” Hazen related. When asked about her social media life, she said that it is hard for her to understand why it is so popular among the youth. Surprisingly, not all folks over the age of 60 are not afraid of new technology. Whether experienced or inexperienced, opinions vary about social media. So when you are walking outside or sitting on the bus, think about the everyone around you with their noses buried in their phones. Put yours away and go outside to enjoy this fresh spring air.